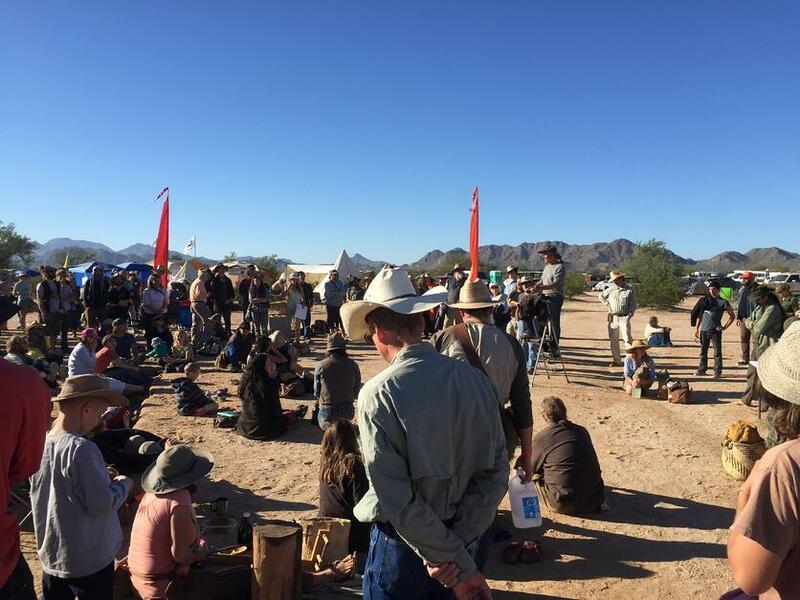 Earlier this week we attended Winter Count, a primitive skills gathering in Arizona. There were different workshops teaching people how to make friction fires, soap, bows, shoes, and much more. The first night we got to Winter Count was the night before everything started, so we went to bed early in anticipation for what was to come. The next morning there was a welcoming ceremony and the dozens of instructors explained what they would be teaching. That night we had the option to go into the desert with a group of teens. On the night adventure you were not allowed to bring any items. We walked into the sagebrush with only the clothes we were wearing. We didn’t even bring water. 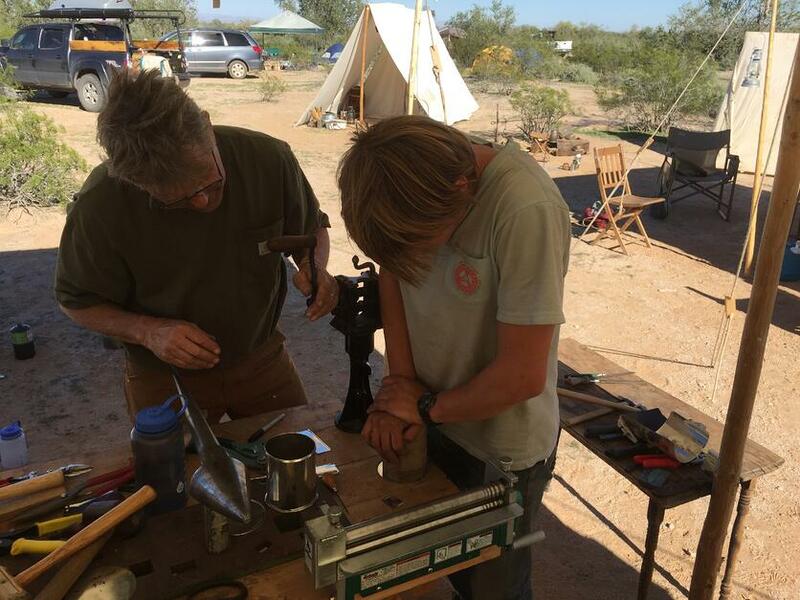 It was a long night of trying to start fires using friction in a device called a hand drill. Around 1 AM we eventually succeeded. We proceeded to sit around the fire getting to know each other and telling stories. We strolled back to the Winter Count grounds early the next morning. We were exhausted, but we walked to the main fire with our heads held high. That same morning after breakfast I met with someone who makes knives and sheaths. I spent the next couple hours with him making a knife, and then I spent the afternoon making a pair of leather sandals. Some of the group made rings out of antler while others made soap. The possibilities were endless, and we soaked up the opportunities. 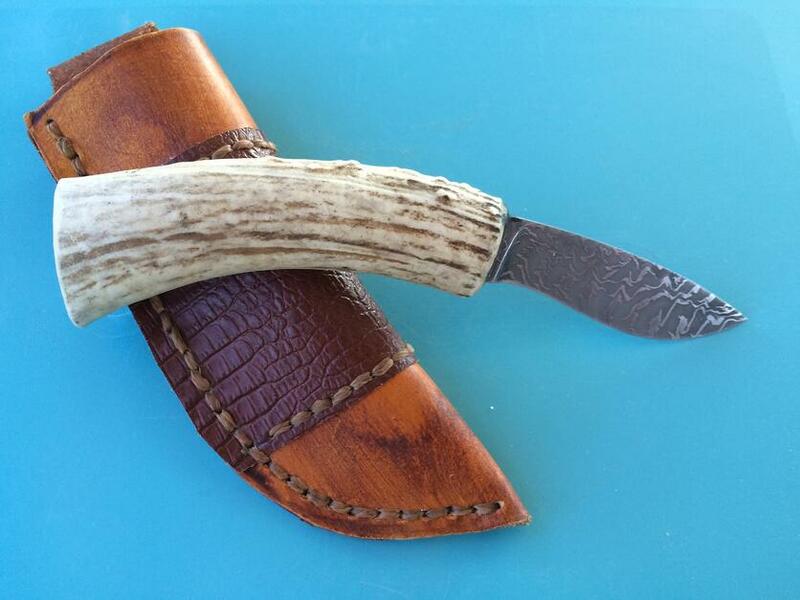 I am walking away from Winter Count having made my new sandals and my leather sheath, accented with alligator leather, for my hand crafted knife. I have never experienced anything like Winter Count before, and I can definitely say that after this experience I’ll be going back. It is fascinating to learn how to make useful items from the most basic materials. Winter Count gave me this chance and allowed me to see how things were done before our complex and sprawling economy. I was given a new appreciation for the work of our ancestors before the Industrial Revolution. Lucien and I spent several hours working a sheet of tin-plated steel into a functional tankard like those used in colonial America. It took us all afternoon to make a single mug. An expert could do it faster, but it is still an involved process and to think that centuries ago basically everyone in America drank from hand crafted tin is amazing. In addition, flint knapping (the shaping of stone into blades and tools) is a truly ancient skill that was being practiced at Winter Count. For thousands of years it is how people produced the vast majority of blades and sharp tools. Now we have steel and ceramic blades we purchase from the store and most of us don’t think much of their production. I now have a much better perspective on how easy and luxurious our modern world is.